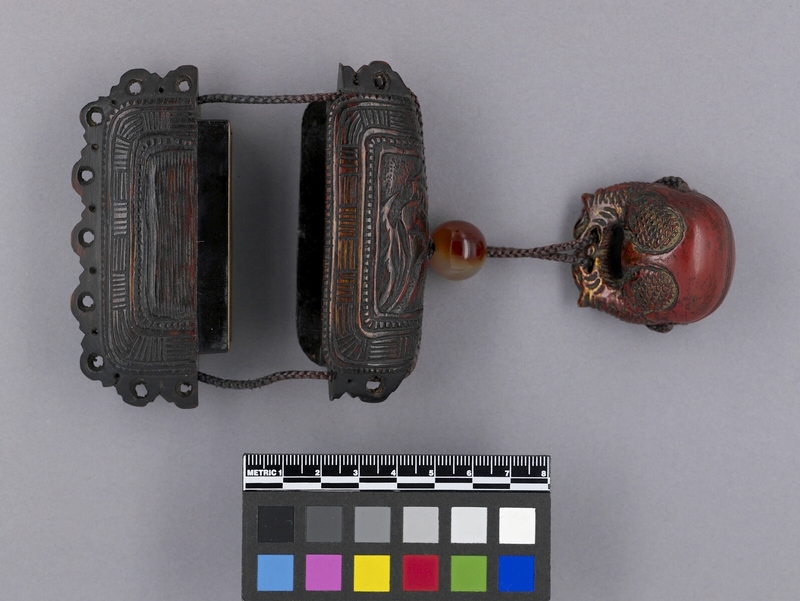 Item number 1273/3 from the MOA: University of British Columbia. 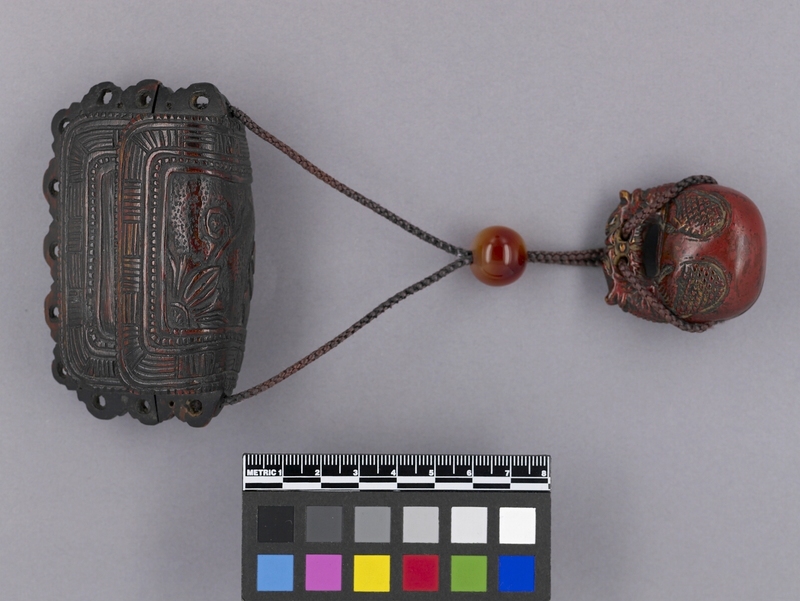 Dark brown-red rectangular-shaped container with fibre cording, globular bead, and dark red wooden toggle. Container is in two parts and connected together by fibre cording. The larger part of the container lifts up from the smaller bottom piece. 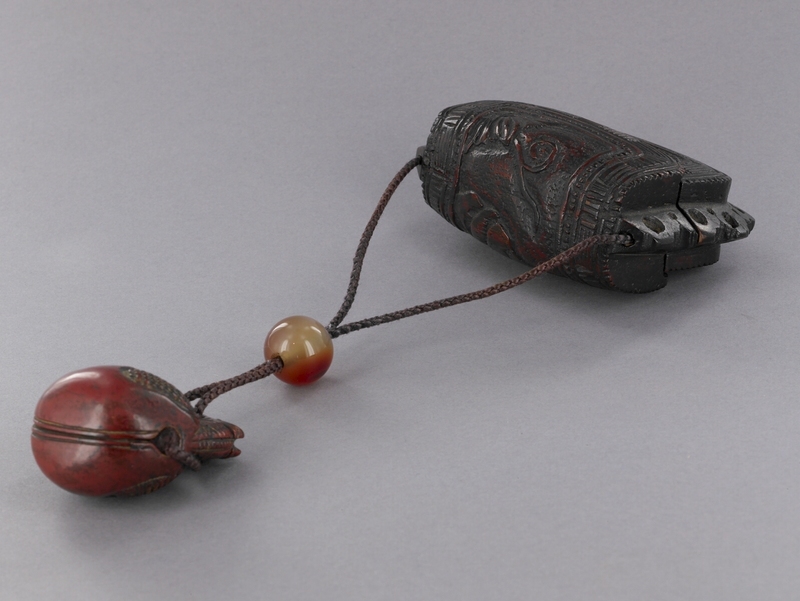 Both pieces are elaborately carved with geometric designs. The top and bottom piece are edged with a protruding scalloped rim and decorated with punctured holes. The round toggle has two animal figures facing each other and are holding the cord in their teeth.